Nose: Lovely sherried nose, dried fruit, gooseberries, blackberries, cooked plums, soaked raisins (don’t get those much lately in new sherried whiskies), cinnamon, milk chocolate, velvety and with some fresh and light side. After a few minutes, getting more chocolate and coffee, berries pastry, malt, honey and buttery feeling. Palate: Sweet, dried fruit, demerara sugar, oak spices, pepper, lots of chocolate, milk and dark, espresso and then sweet dried fruit in the background. Finish: Medium length, lingering spice, dark chocolate, cinnamon, sweet dried fruit and then chocolate again. 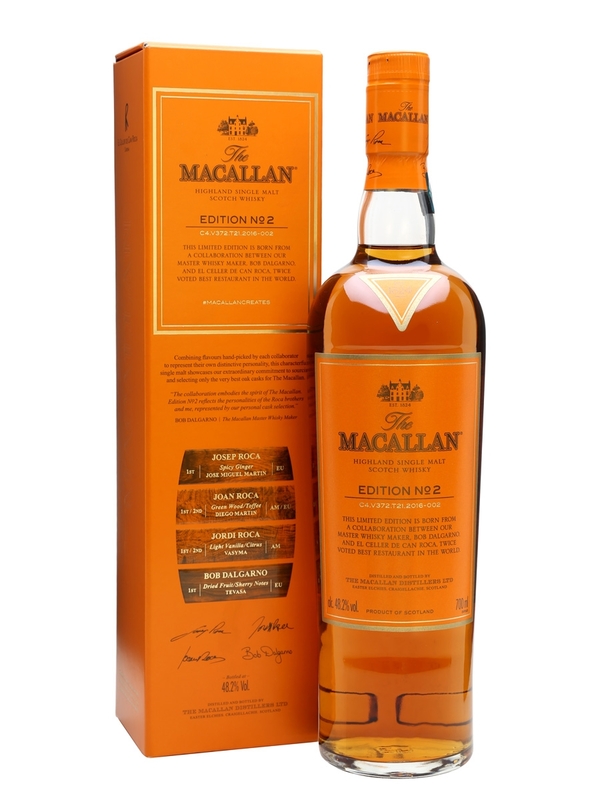 Thoughts: Who’d thought Macallan can produce a good NAS yet (relatively) affordable whisky? I don’t recall any good and reasonable priced Macallan since Sienna, member of the 1824 series was that was released 5 years ago. I’m sure that the higher than usual ABV helped tremendously but I will also bet that the casks put in this expression were far better than what is being vatted for Gold/Amber and the 12 Double Cask. A well worthy Macallan even if a bit on the pricier side and still available out there.